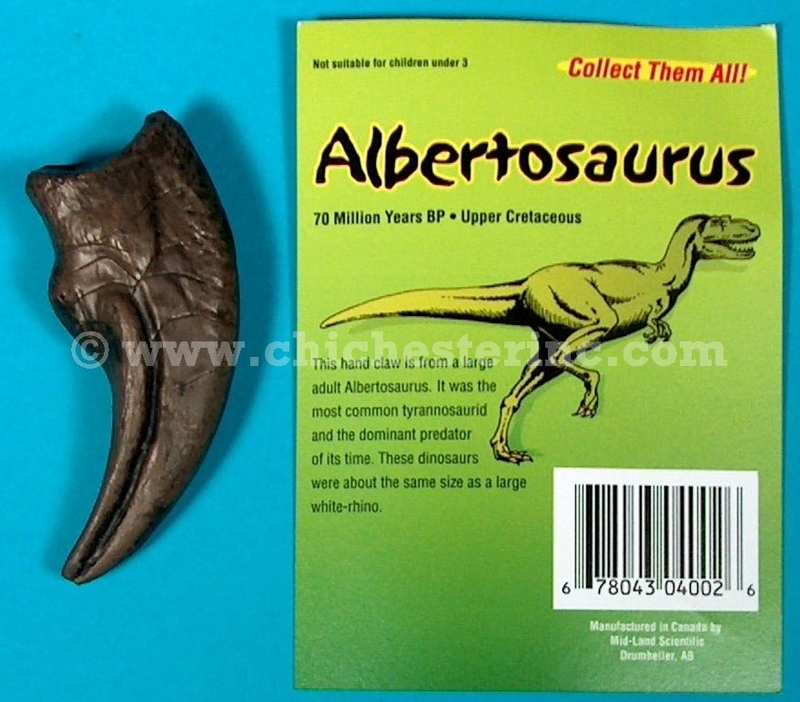 The realistic dinosaur claws are hand painted and made in Canada from injection molded plastic under the supervision of paleontologists to ensure accuracy and quality. 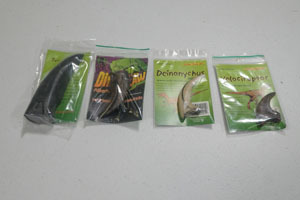 Each claw comes with an information card. 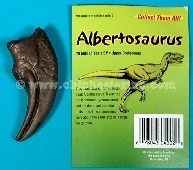 This hand claw is from the large adult Albertosaurus. 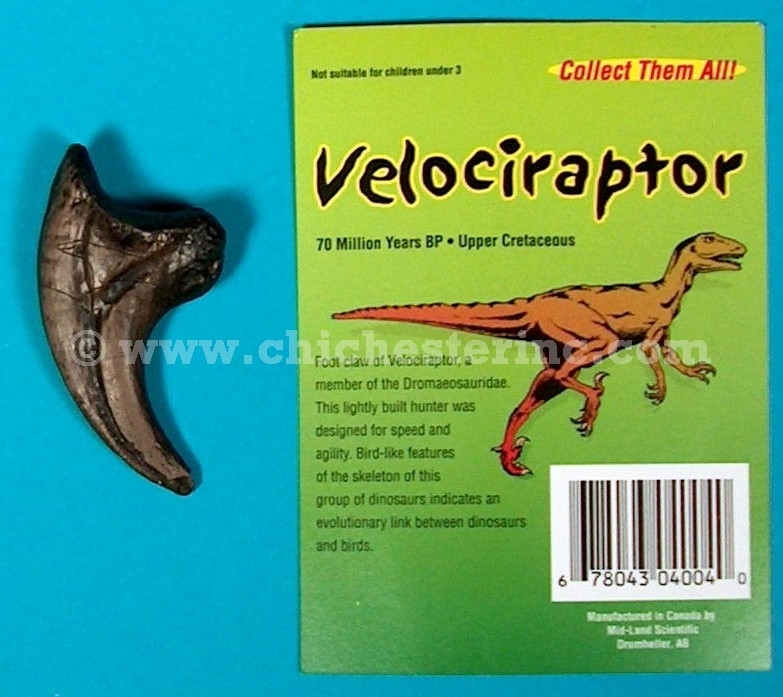 It was the most common tyrannosaurid and the dominant predator of its time. These dinosaurs were about the same size as a large White Rhino. 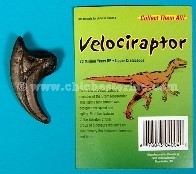 Foot claw of Velociraptor, a member of the Dromaeosauridae. This lightly built hunter was designed for speed and agility. Bird-like features of the skeleton of this group of dinosaurs indicates an evolutionary link between dinosaurs and birds. 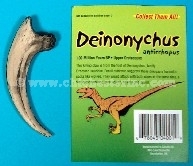 This killing claw is from the foot of the Deinonychus, family Deomaeo-sauridae. Fossil evidence suggests these dinosaurs hunted in packs like wolves. They would attack with both claws at the same time, a feat demonstrating great agility, balance and speed. 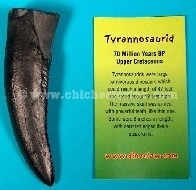 Tyrannosaurids were large carnivorous dinosaurs which could reach a length of 47 feet and stood about 19 feet high. 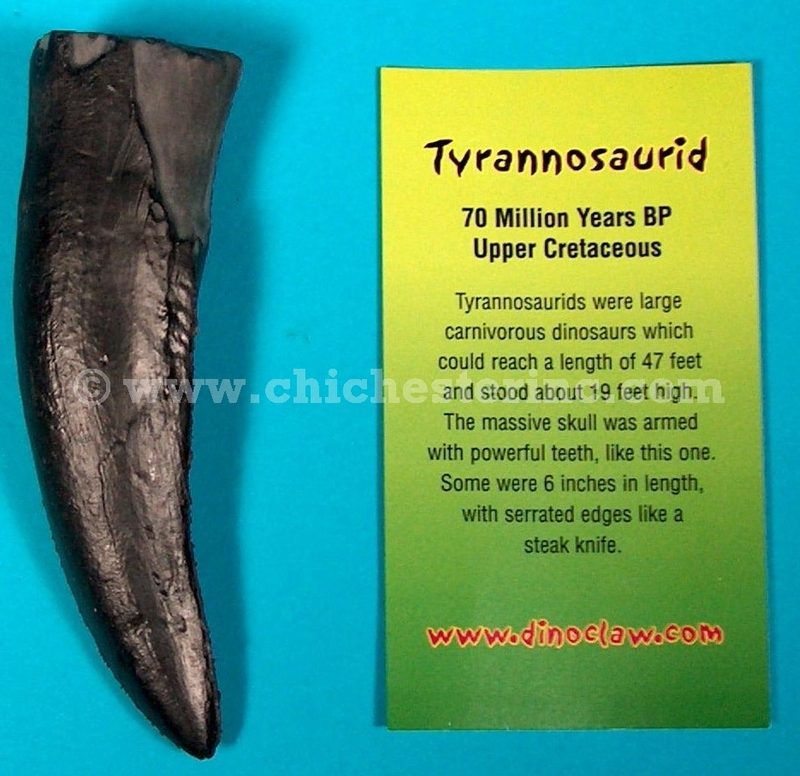 The massive skull was armed with powerful teeth, like this one. 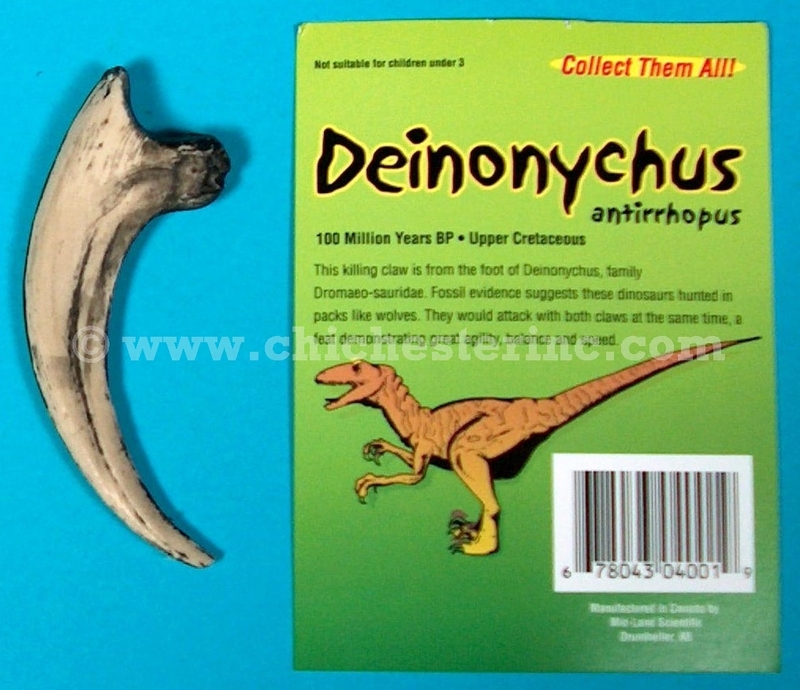 Some were 6 inches in length, with serrated edges like a steak knife.